Getting eyeglasses is an important part of your eye care regimen, whether you are getting them for the first time, or have been wearing them for years. You always want to make sure you get the perfect prescription for your unique vision needs, so you can see as clearly as possible. Poor vision can lead to tension headaches, eye strain, and even accidents, if you can't see where you're going clearly. Come to your preferred optometrist to get the best quality eye care, the most stylish selection of eyeglasses, and the friendliest personnel to greet and serve you. Our optometrist is here to assist you. You will be greeted by our friendly and welcoming front office personnel, then taken back to get your eye exam. The exam will test not only your vision, but the overall health of your eyes, as well. You will be examined to see if you have any common eye conditions, such as glaucoma, macular degeneration, and diabetic retinopathy. Your eyes may be dilated with special drops to allow your eye doctor to see clearly inside your eyes to look for any problems there. If it is your first visit, or you haven't had a visit in a while, your peripheral vision may be tested, as well, as may the strength of your eyes and the muscles around them. 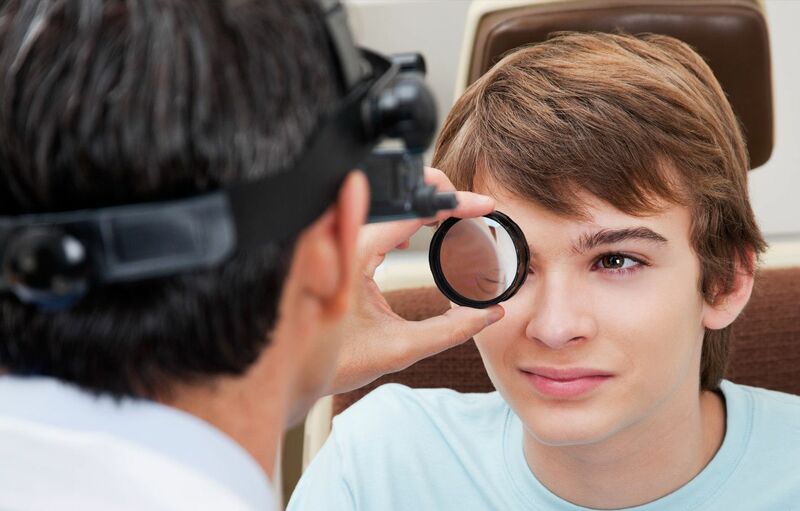 Once your eye health has been examined, you will be given an examination to determine the clarity of your vision. Different magnifications of lenses will be put in front of your eyes, and you will tell the eye doctor which ones give you the clearest vision. You will also be asked to read gradually smaller sets of letters on a wall through different magnifications of lenses. These tests, together with the other tests your optometry professional will perform on you, will give you your perfect eyeglasses prescription. You can choose your lenses and frames at our eye doctor's office, or anywhere else you like. If you choose them with us, you will find we have a large selection of the most stylish frames, including designer names, as well as the highest level of technology lenses, such as transition lenses that change from regular to sunglass tint depending on the level of sunlight they're exposed to. Our prices are among the most competitive in the area, and we take most major insurances, discount policies, HSA's, FSA's, and more. Call us ahead of time to see if we accept your payment policy, and what other financing options we have that may be available to you. If you are ready to get your first pair of eyeglasses or your next, contact us today to set up your appointment for an exam, evaluation, and fitting. You will be pleased you chose us, and impressed with our quality. You can reach us at (704) 457-7300.